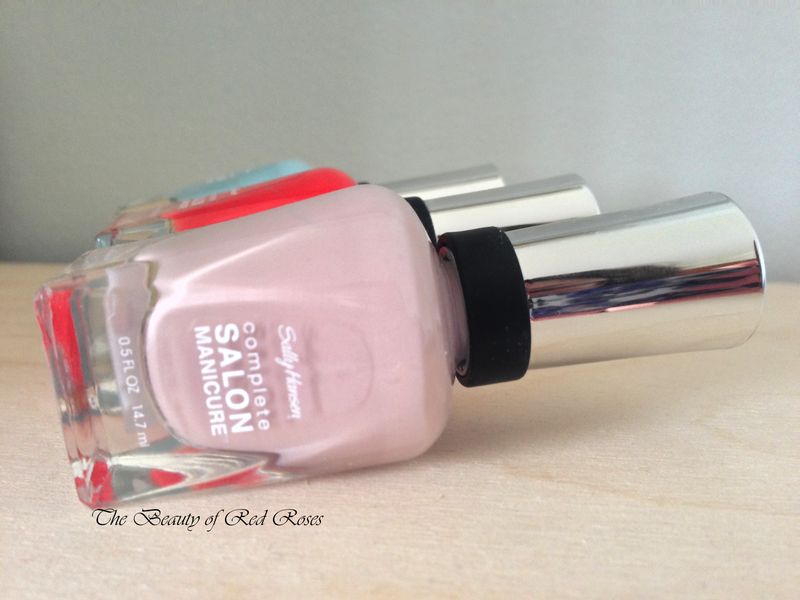 The Beauty of Red Roses: Sally Hansen’s Complete Salon Manicure Bottle Design Explained! Sally Hansen’s Complete Salon Manicure Bottle Design Explained! L-R: Barracuda (limited edition), Kook-A-Mango and Gray-t Escape (limited edition). Have you ever wondered why Sally Hansen designed their new range of Complete Salon Manicure nail polishes so bulky and chunky than most other nail polish bottles out there? Well, at first I thought the design looked quite cute although chubby compared to other nail polish bottles in my collection. Additionally, these do tend to use up most of the space in my nail polish drawer. Despite this, there is actually a really good reason as to why they have designed the way they are. I actually discovered the purpose behind their bottle design by accident! You see, whilst painting my nails, I sometimes accidentally knock or tip an open bottle of nail polish and... you know what happens next! But wait for it! The consequence of tipping a bottle of Sally Hansen Complete Salon Manicure on its side simply decelerates the flow of the formula escaping the bottle! The bottle essentially lies horizontally on its side on an angle, and hence, the nail polish formula doesn’t spill out so quickly! Very clever!! What do you think of the new bottle design of Sally Hansen's Complete Salon Manicure range? Do you love or loathe it? I was intrigued when I read your post title! It is very clever. I too tend to knock over my polishes when painting my nails. Unfortunately the size of the bottle deters me for buying them as they won't fit in my draw..... until I get a bigger drawer! Haha I never realised this! I love these nail polishes though, they are seriously long lasting on me! Sally Hansen formulas always impress me, I all love their flat and rounded brush applicators too!